The Secretary for Financial Services & the Treasury outlines various initiatives the Hong Kong government is taking for developing the FinTech Industry. The Secretary for Financial Services & the Treasury in Hong Kong, Prof. KC Chan outlined a number of initiatives the Hong Kong government is taking for developing the FinTech Industry. He was speaking at the opening of the Internet Economy Summit 2017. From August 2015 and August 2016, the number of FinTech startups operating in Hong Kong increased by 60%, from 86 to 138. In addition, between 2014 and 2016, Hong Kong attracted around US$400 million of venture capital investment in FinTech companies. The FinTech Facilitation Office of the Hong Kong Monetary Authority (HKMA) is supporting banks for the rollout of innovative products and services driven by new technologies. Simultaneously, companies are offering financial services such as online fund distribution, robo-advice, and a fund structure that invests in the peer-to-peer loan market,under the supervision of the Securities & Futures Commission. The commission has also initiated an internal regtech project to actively assess technologies it can adopt. Prof. Chan also mentioned that insurers are going to establish a cybersecurity platform to exchange intelligence on threats and to handle security incidents. Building talent pool: Starting from the 2017-18 academic year, local universities will launch dedicated publicly funded first-year first-degree and senior year programmes in FinTech. 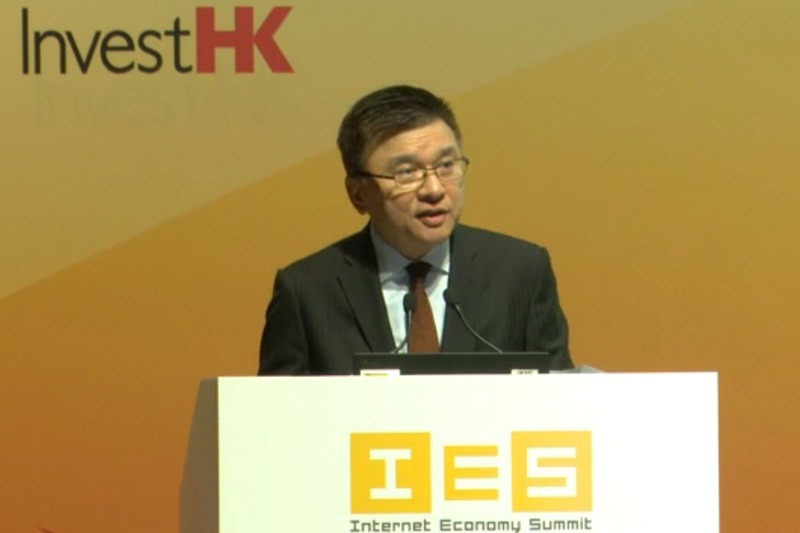 Enhancing the local payment ecosystem: Prof. Chan said that the Hong Kong Special Administrative Region Government will enhance the local payment services ecosystem and establish Hong Kong as a hub for the application and setting of standards for cutting-edge FinTech.The HKMA is also planning to introduce the Faster Payment System in 2018 and to facilitate the development of new electronic and mobile payment channels for various government services. Research and developing proofs-of-concept: Last month, HKMA commenced research and development of proof-of-concept for a project on central bank digital currency in collaboration with the three note-issuing banks, Hong Kong Interbank Clearing Limited and R3, a consortium of financial institutions and other stakeholders to explore the potential of distributed ledger technology (DLT) or Blockchain. HKMA has also developed a Blockchain-based proof-of-concept for trade finance in collaboration with a consultancy firm and five banks in Hong Kong. Bilateral agreements: The Government, regulators and Cyberport will boost co-operation with other economies through bilateral agreements with key partners. These would enhance market access for FinTech startups in Hong Kong, and attract startups from around the world to establish a presence in Hong Kong to launch their regional business. For example, a Cooperation Agreement on FinTech was signed between the HKMA and the UK’s Financial Conduct Authority in December 2016. Innovation & Technology Venture Fund: The government is going to launch a $2 billion Innovation & Technology Venture Fund to help bridge the funding gap for technology startups. It will invest jointly with venture capital funds in local innovation and technology startups, which would also support the FinTech industry.